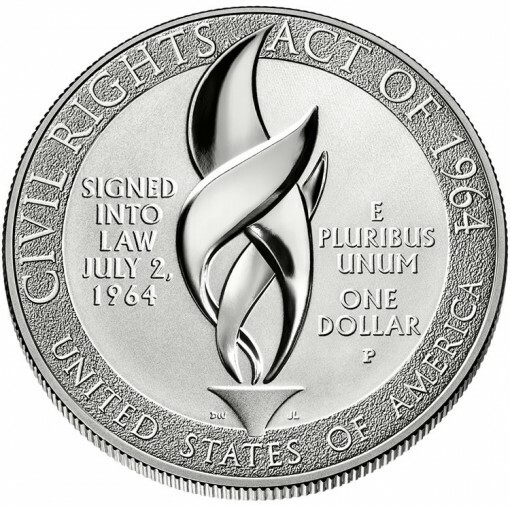 One day after announcing the designs for the 2014 Civil Rights Act of 1964 Silver Dollars, the United States Mint revealed their release date, their introductory pricing period and their first time use of a combination of multiple finishes. Uncirculated and proof Civil Rights Act of 1964 Silver Dollars will launch at noon Eastern Time on Jan. 2, 2014. Introductory prices of $49.95 for the proof and $44.95 for the uncirculated will last until 3 p.m. on Feb. 3, 2014. Regular pricing will then go into effect with each silver dollar rising by $5. There will be no household order limits during either sales period. U.S. Mint polishing and laser techniques developed earlier in the year have been applied uniquely to the proof version of the silver dollar. Typically, collectors have found proof coins more desirable than uncirculated coins. The enhanced proof will drive even stronger sales to it than the uncirculated version. 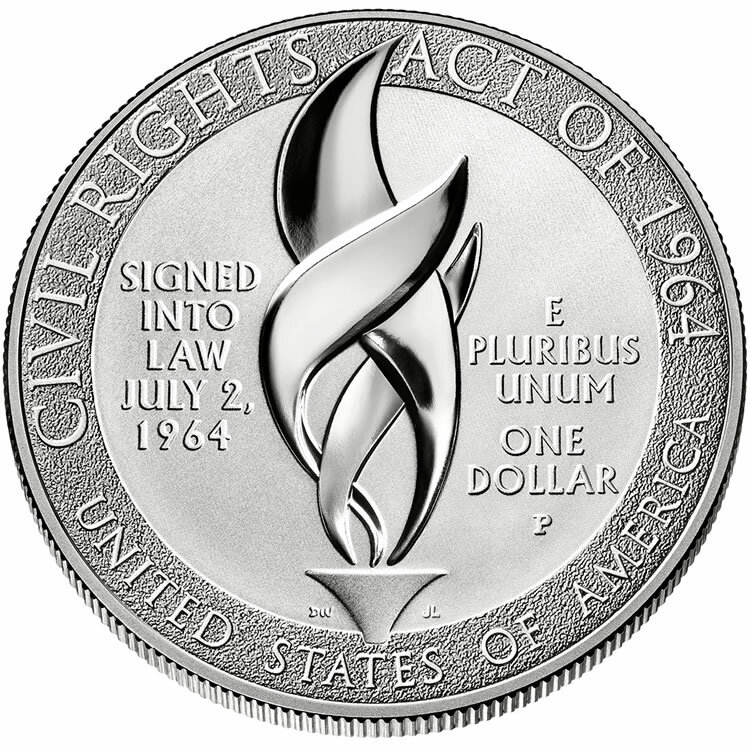 Civil Rights Act of 1964 Silver Dollars debut as the first of the Mint’s two commemorative coin programs in 2014. The bureau will also release National Baseball Hall of Fame Commemorative Coins in gold, silver and clad. Their release date has yet to be published. In another first for the Mint, the baseball coins have a curved shape.